when I was away on a Business Trip my 12 year old son made a review of Jabra Speak 710, a telephone conference system which includes microphones and loudspeakers. Connection to PC/Mac/SmartPhones/Tablets can be made using Bluetooth and USB. 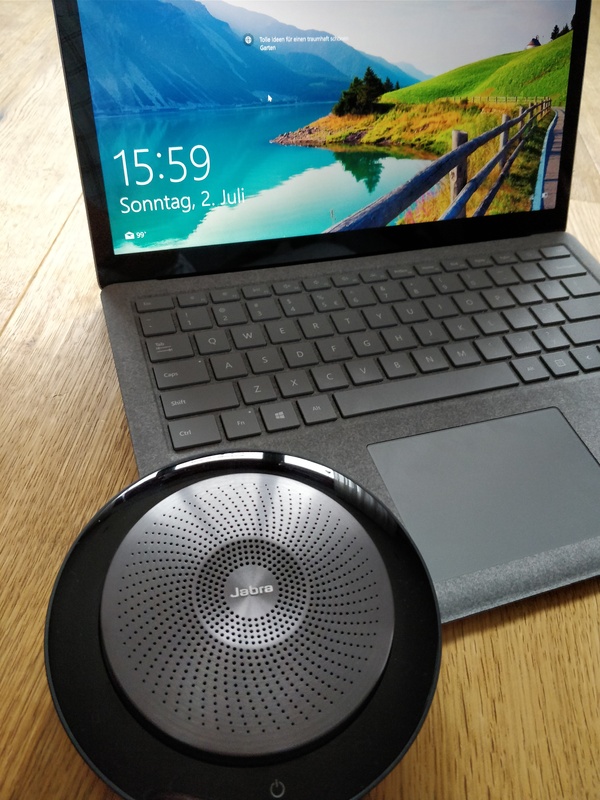 Siri, Cortana and Google Now are also integrated and if you use 2x Speak 710, then both devices can be connected, get great stereo sound and enlarge reach of microphones on a large meeting table. Mobile Conference System which I carry in my laptop bag, it`s a daily driver as a Mobile Nomad.